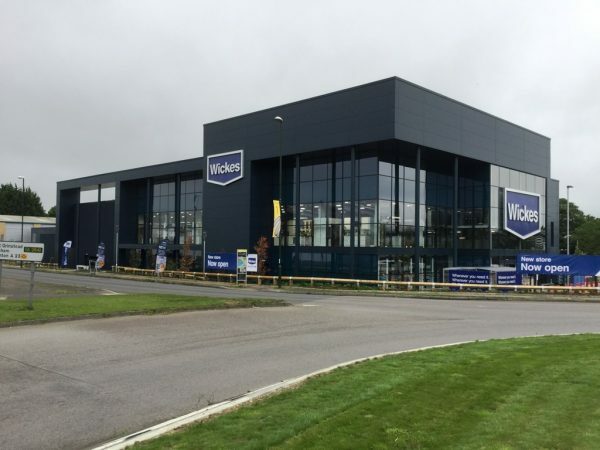 A new £3 million flagship store building designed and planned by our Reading office for Wickes Home Improvement has opened in Crawley, West Sussex. The landmark building represents a significant departure from the traditional Wickes store appearance with its inclusion of curtain wall glazing providing an elegant, contemporary profile as well as enhanced visibility into the showroom exhibits, replacing the standard shelving to external walls display format. The site is a local authority designated gateway site in Crawley, West Sussex which is subject to a Supplementary Guidance document dictating the need for a high quality landmark building within the Manor Royal Business District. Planning was secured last summer with high commendation for the quality of design and construction detailing, and the completed store has achieved a BREEAM Very Good rating.